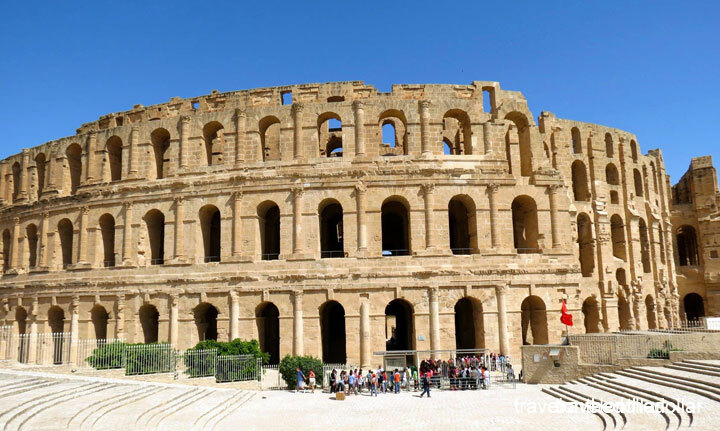 Train services between major cities in Tunisia is quite reliable and cheap. But not all services run frequently and some of them don’t run on holidays and Sundays. For example, there are just two trains a day between Gabes and Tunis, one in morning and one evening, and the evening train doesn’t run on Sundays. Of course there are more frequent louage (shared taxi) connections and cheaper than a train, but you will not get the comfort of a train seat and some times the drivers of a louage can be really rough on the roads. One other advantage of taking a louage is the direct non-stop service to your destination in comparison to a train that makes multiple stops, making it quicker to reach where you’re headed. The disadvantage of taking a louage is the wait for the taxi to get filled before it heads out. And that, sometimes, can take hours. In short, weigh your options on taking a train or a louage. 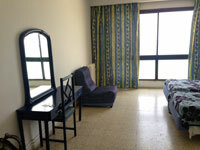 There are two trains in the morning from Tunis to Sousse – 6:00am and 8:30am. It takes just over 2 hours with a few stops and costs TND 10.300 (approx $6.44). 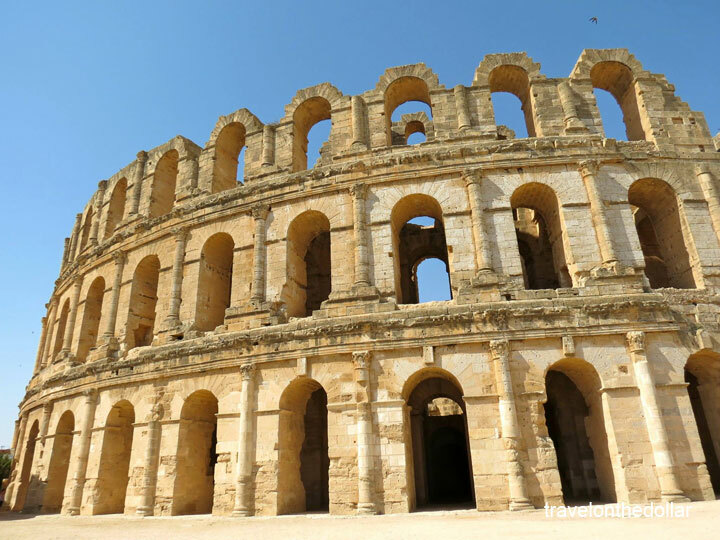 I decided to take the 6:00am train, which I had bought the ticket on previous day, which would have given me enough time to see all the three cities – Sousse, Monastir and El Jem. Peak tourist season begins June and ends in September, which is when there are chances the seats may get filled. And on the flip side, not many tourists take the trains, but go in group tours, hence the buses. So depending on your travel time and the in-between towns, it’s considered wise to book your tickets at least one day in advance. Advance tickets does not get you any discounts, and does not ensure a reserved seat, or perhaps even a seat. There is no seat number assigned to you so you can sit anywhere you like. Don’t assume that locals don’t take the first class seats! 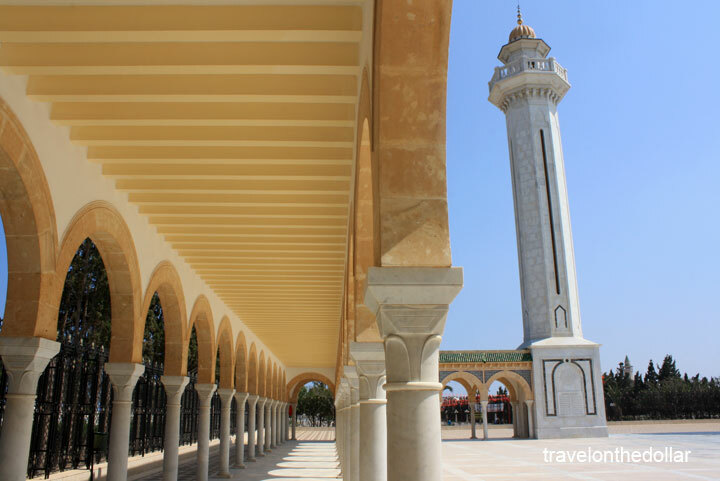 The train reached Sousse almost right on time at 8:30am and it was a 10-minute walk from the station to the amazing Residence Boujaffar hotel – the views from the room overlooked the Ave Hedi Chaker and the Mediterranean Sea. Located on the Ave Hedi Chaker that runs along the coastline of the Mediterranean Sea, this hotel is a great place to stay with huge rooms, big bathroom and perfect views. 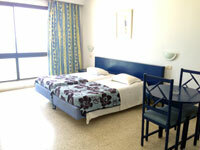 The rooms are clean with a wall-to-wall window and bathrooms are decent. The hotel has awesome reviews on TripAdvisor and I agree with most of those. Breakfast is included in the price of $35 a night, which is served at the cafe downstairs. The hotel has wifi only in the lobby; and it doesn’t connect anywhere else. My room was on the 4th floor where there was no wifi connection. The staff spoke English. Having checked-in, I headed out to walk along the shore-line to Gare Metro Bab Jdid, which is the first station of the metro services between Sousse and Monastir. 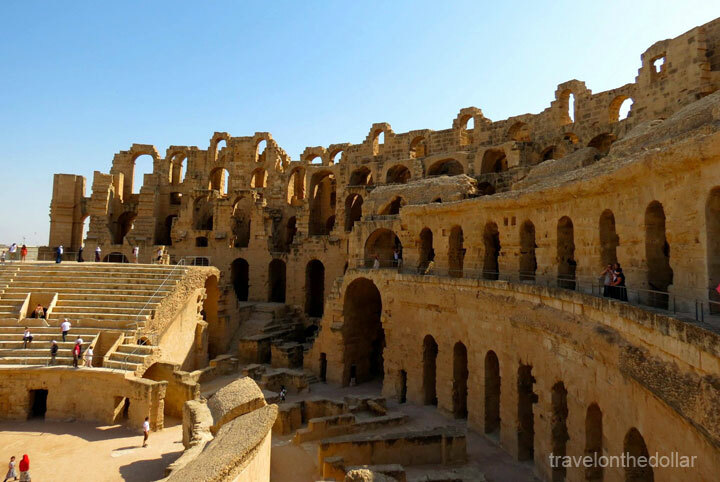 It costs TND 2.000 (return ticket) and takes 40 minutes to reach Monastir station, from where the two main sights are 8-10 minutes walk along the walls of the Medina. Monastir is the birthplace of Tunisia’s first president Habib Bourguiba. 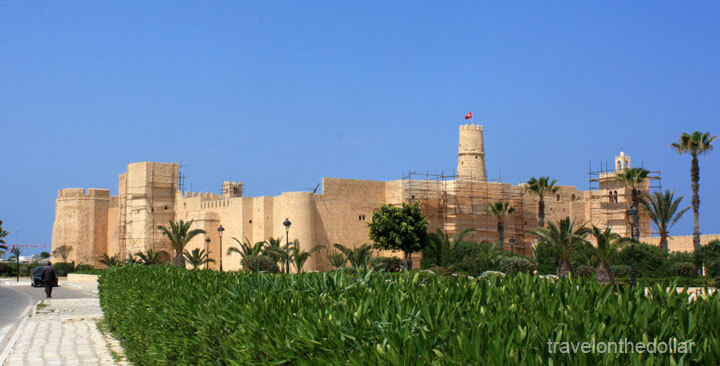 First up was the Ribat (Fortress) – the most famous attraction in Monastir which is both an historical monument and somewhat of a movie-star having been in a number of movies the most famous being the Life of Brian and Jesus of Nazareth. Unfortunately, because of construction, the Ribat was closed for visitors so I just had to walk around and see it from outside. 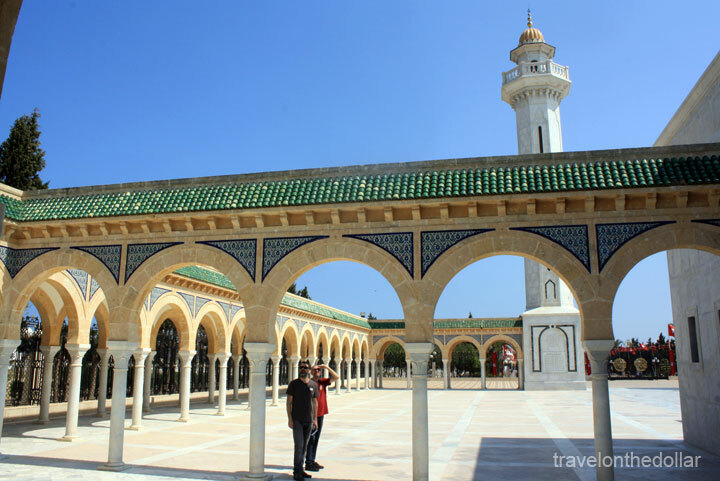 Right across from the Ribat is the Mausoleum of Habib Bourguiba, where the first President of Tunisia is buried. Walking up to this magnificent piece of work brings you to a courtyard that is highly distinguished by its huge ribbed golden dome and the twin thin Minarets with magnificent Italian Limestone. 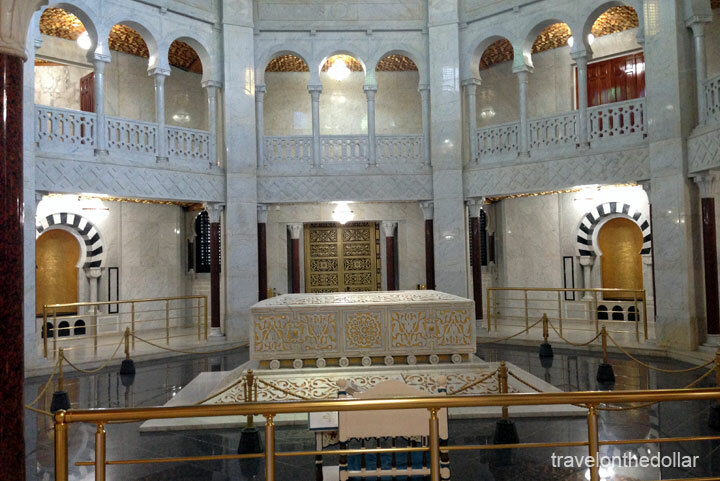 Within the tomb, stand the cenotaphs of all the family members of Bourguiba. Although you can climb the flight of stair steps leading to the top of the mausoleum to have a close view of the dome and overall view of the surrounding area of the tomb, this was also closed that day because of construction. I walked back to the station for the next train back to Sousse. And upon reaching Sousse, it was a 10 minute walk to the Gare de Sousse (Sousse main station), to check the train timings to El Jem. Most trains that go to El Jem from Sousse are actually heading to either Gafsa-Tozeur or to Gabes. This means that there are no trains to get back to Sousse, even if you do make it on one of the two trains that leave Sousse in the day. So I decided to take a louage, and luckily for me, I got one that was about to leave. 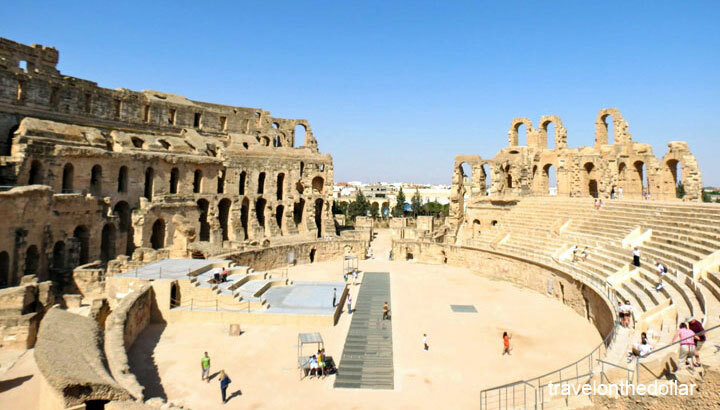 It takes one hour from Sousse to El Jem that drops you right in the middle of the town. 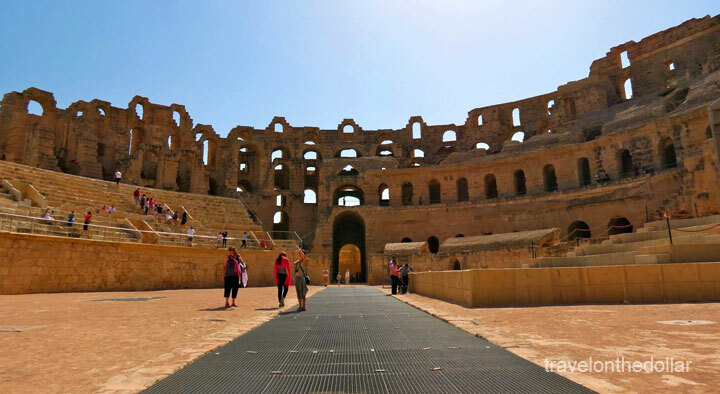 It is a 7-minute walk to the biggest Amphitheater built by the Romans under proconsul Gordian, who was acclaimed Emperor at Thysdrus. 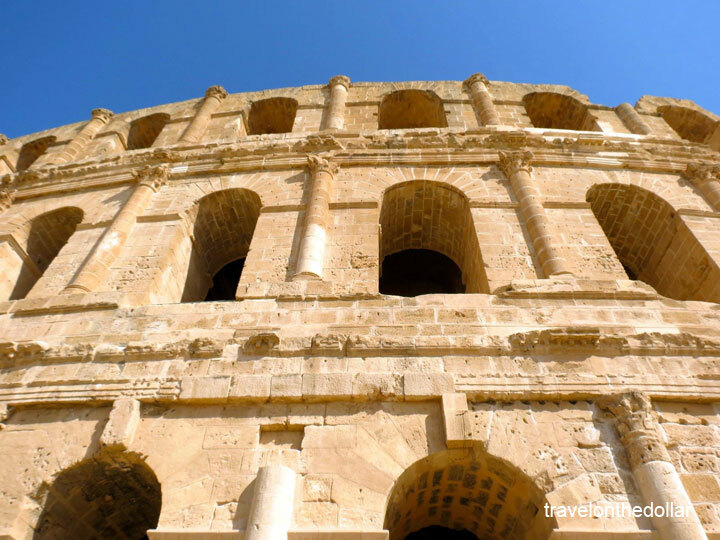 It was mainly used for gladiator shows and chariot races (like in Ben-Hur). Many tourists come here to see what it was like to be inside what was once a place where lions and people met their fate. Much of it is crumbled but the essence of it still remains. Returned by the end of day to Sousse and bought some sandwiches on the way to the hotel, for a relaxing evening and night. Note: All values in USD, unless otherwise mentioned, are approximate and based on the exchange rate at the time of publishing. Each cost is for one adult. The exchange rate at the time of publishing is assumed to be USD 1 = TND 1.60. Gorgeous seas-side towns & sights of Tunis. Commute from Sousse to Gafsa to Tozeur. Arriving in the capital city. 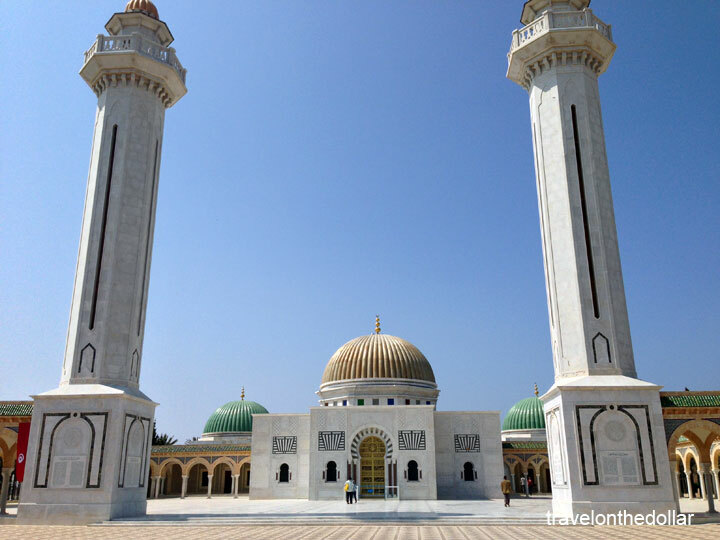 Gorgeous sea-side towns & sights of Tunis. Troglodyte homes & largest desert. Commute from Douz to Tunis. Northernmost city of Africa & capital city.